Financial stability goes a long way in helping us deal with the unpredictable nature of life. Due to our modern-day, stressful lifestyle; however, most of us delay planning for the future, believing that there’s still time. If only we could pause a little, make a list of our existing and possible future expenses according to our lifestyle, and start with an active investment strategy, we can easily relieve ourselves from being affected by life’s uncertainties. Further, it is through savings and the disciplined investments only that you can secure our present and work towards creating wealth that will take care of the future requirements. By maximising your savings; therefore, you can fulfil your dreams, provide for life’s important milestones and stay prepared for emergencies. To help, here’s how you must plan your savings for a secure tomorrow. Creating a monthly budget is a crucial step in separating your needs from wants so that you have clarity over your expenses. To create a budget, first, you need to keep track of your credit card and cash transactions for a month. Hence you would need to note down expenses for the month including rent, travel, local living expenses, daily consumables (dairy and vegetable), credit card bill, online shopping, dining (restaurants) and bills (electricity, mobile, internet and TV). Once you are able to compile details of your expenses, you can put a cap on expenses that are necessary and avoid any wishful expenditure. You will also know how much you can save for the month, a habit that will teach you financial discipline. The next logical step would be to secure yourself and your family against financial instability in case of an eventuality. Thus, buying life insurance would be the most appropriate medium to create a financial safety net. Moreover, life insurance is age-banded. This implies that an insurance policy would become more expensive as each year passes. Though it may seem counterintuitive; however age and health can be important reasons to purchase life insurance before you have an apparent need. The fact that you are healthy and young will not only get you a lower premium on insurance plans but also make you eligible to go for a lot higher life cover than you may be able to get a few years down the line when you are married and have children. While cutting down your expenses and saving your income are the first steps towards financial security, you would also need to maximise your savings through investments into market-linked instruments. 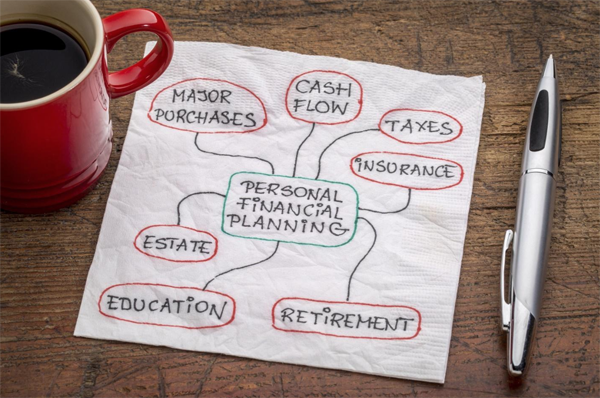 You need to understand that planning your finances today would help you create wealth in the long run, which in turn, would provide you with a steady source of income post retirement. Therefore, you must look into investment tools, especially wealth plans from reputable insurers such as Max Life Insurance. These plans not only introduce you to the world of money markets but also encourage you to make disciplined, secure and profitable financial investments. Moreover, you can proceed to build upon a solid base of savings and liquid investments, followed by diversifying your investment portfolio comprising equity, debt and alternative investments such as real estate. Another crucial aspect of financial planning is tax planning. Many of us believe that planning your taxes is one activity that can be delayed until it is unavoidable. This approach; however, is flawed. In a financial year, you can avail exemption and save a significant part of your income as tax savings by investing in certain products including life insurance, mutual funds, and ULIPs. However, you need to be diligent about the choice of investment products in your portfolio. You cannot afford to hurry into buying plans such as life insurance or a ULIP, because then you would miss out on the many other benefits of these plans, apart from tax savings. The rule of thumb is that you must compare between available tax saving options during the early stages of a financial year, and then choose a product that could help you fulfil your needs. In our lifetime, we tend to fulfil many dreams by incurring financial debts including home loans, education loans and credit card balances. While having debt is not at all uncommon or undesirable, it is important that we judiciously work towards paying them off. Otherwise, the debts would continue to pile and eventually become substantial financial liabilities. The key to paying off debts is to start with the lowest balance first because it’s the easiest to finish off. You can also select the one that has the highest interest rate. Either way, finishing off one debt would motivate you to pay down all liabilities and become financially secure. Financial planning is not a quick-fix, but rather a continuous journey towards sustenance and security. But most importantly, planning your finances is crucial if you have life goals to achieve and a family to be accountable for. By starting early on the journey full of investments, savings, and reaping benefits, you can make sure that you are never short of money on essential stages in life and that your family never has to depend on anyone else for fulfilling their dreams. Remember, even if life is uncertain, you can always make sure that you are there for your family.